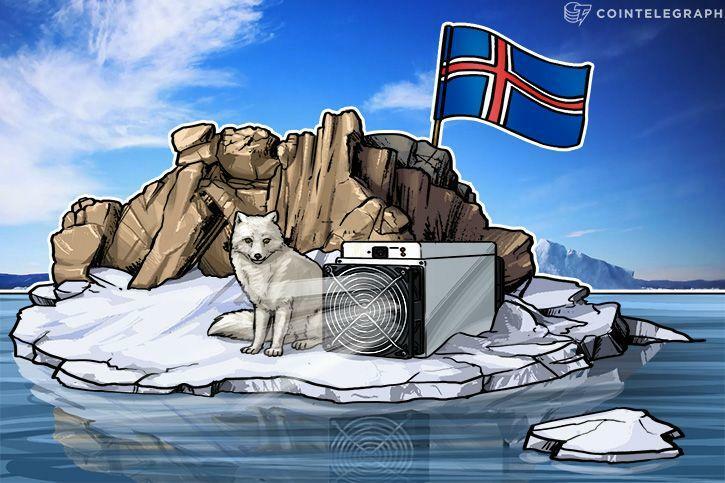 Iceland is set to consume more energy for crypto mining than for household use this year, the Associated Press reports Monday, Feb. 12. The naturally cold climate and access to renewable energy are listed as the primary reasons for the influx of crypto mining companies to the Nordic island nation. Icelandic businessman Johan Snorri Sigurbergsson of the energy company Hitaveita Sudurnesja predicts a doubling of the country’s cryptocurrency mining energy consumption to 100 megawatts this year, more energy than the 340,000 residents of Iceland will consume for personal use in that time. Sigurbergsson told the AP that he “could not have predicted this trend” four months ago, “- but then Bitcoin skyrocketed.” He reports that he had just met with a mining company wanting to buy 18 megawatts. Bitcoin mining hardware requires a large amount of energy to perform the calculations to find “hashes,” which then gives the miner a Bitcoin reward. Alternatives to the current energy-consumption-heavy method of mining have been proposed, like using a Proof-of Stake system instead of Proof-of Work, or using renewable energy to power mining computers. Mining sites in Iceland naturally have the opportunity to produce less pollution than the coal-burning mining sites located in China, for they have access to geothermal and hydroelectric power plants, both cheaper and more environmentally friendly alternatives to coal. Keflavik, a coastal town on the southern peninsula of Iceland, is home to three of the biggest Bitcoin mining sites in the country. These mining “farms” have walls that are open to the elements, which allows cold wind to naturally cool down the mining hardware. In the US, when mining companies began moving en masse to Washington to take advantage of the state’s cheaper electricity, the data infrastructure of one small county became quickly overloaded and now requires an addition of 100 megawatts. Smari McCarthy of Iceland's Pirate Party, an anti-establishment political party that entered Iceland’s Parliament after the 2008 financial crash, brought up the possibility of taxing any profits made by Bitcoin mining, considering that a mining company falls under the category of “creating value” within the country. "We are spending tens or maybe hundreds of megawatts on producing something that has no tangible existence and no real use for humans outside the realm of financial speculation. That can't be good." In December 2016, when Iceland was rallying to form an alternative coalition that included the Pirate Party after inconclusive election results, the Pirate Party’s founder referred to their platform as the most “favorable” for Bitcoin’s path to legality in the country.